Frankfurt am Main (AFP) – Volkswagen’s emissions cheating scandal, for which Audi chief executive Rupert Stadler was arrested on Monday, has had repercussions for the car industry around the world. Here’s what you need to know about “dieselgate”. On September 18, 2015, the US Environmental Protection Agency (EPA) reported that VW had installed illegal so-called defeat devices in hundreds of thousands of 2.0-litre engines in the United States since 2009. The software — used in the Volkswagen, Porsche, Audi, Seat and Skoda brands — helped make the cars meet exhaust pollution standards when monitored in tests but in real life their emissions exceeded the limits. Four days later the company admitted that some 11 million diesel vehicles worldwide, including 8.5 million in Europe, and 600,000 in the United States, had been fitted with the software. Investigators found that some cars spewed out up to 40 times more harmful nitrogen oxide — linked to respiratory and cardiovascular diseases — than legally allowed. As recently as May this year, Germany ordered Porsche to recall 60,000 vehicles across Europe after they were found to have been equipped with so-called “defeat devices”. A month later, Audi was ordered to recall 60,000 cars for the same reason. VW chief executive Martin Winterkorn stepped down five days after the scandal broke in 2015, insisting however that he knew nothing of the scam. He was replaced by Matthias Mueller, who himself is now being investigated. In April, Mueller was unexpectedly replaced as CEO by VW brand chief Herbert Diess. VW’s guilty plea to a US criminal case in March 2017 settled its legal entanglements there, adding $4.3 billion in criminal and civil fines to $17.5 billion it had already agreed to pay in compensation to owners and dealers and for environmental clean-up. Volkswagen no longer faces legal action in the US, but eight former and current executives and an Audi official have been charged, including Winterkorn. Out of the nine two have already been handed prison terms. Hoping to turn the page on dieselgate, VW has announced a renewed focus on electric vehicles, aiming to become the world leader in electric cars by 2025. But it has offered no compensation to drivers in the European Union — annoying the bloc’s consumer protection authorities. VW did however agree to pay a fine of one billion euros to settle a probe by German prosecutors earlier this month. The scandal has so far cost VW more than 26 billion euros in fines, compensation and buybacks, mainly in the United States. 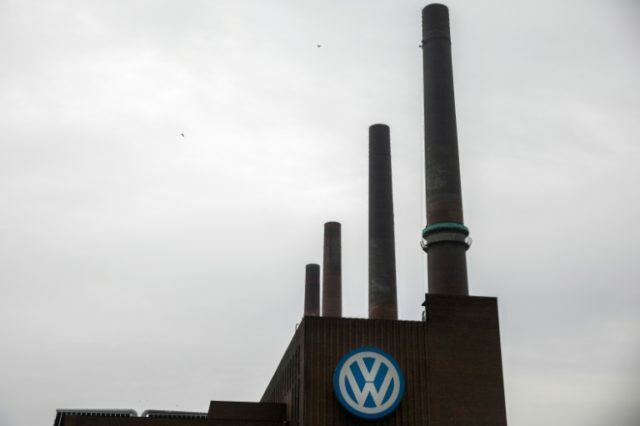 The company announced a net loss of nearly 1.6 billion euros in 2015, its first in 20 years, after setting aside billions to cover the costs of the dieselgate. But it returned to the black in 2016, with a net profit of 5.1 billion euros, followed by 11.35 billion euros in 2017. It still faces lawsuits from thousands of car buyers and investors around the world, including Germany, France, Italy, Britain and Poland. Tests carried out in the wake of the scandal found that diesel engines by other carmakers were also more polluting on the road than during testing. But none have so far admitted to mass cheating. Rather the manufacturers in those cases said regulations allowed deactivation of emissions controls in certain conditions to protect the engine. German luxury brand BMW and Mercedes-Benz maker Daimler have both had their offices raided by investigators searching for evidence of possible cheating. France has also launched investigations into VW, Renault, Peugeot and Italy’s Fiat. While VW sales have fallen in the United States, European drivers appear to have largely shrugged off the controversy. The VW group is still the world’s biggest carmaker, selling a record 10.74 million vehicles last year — more than before the crisis erupted. Diesel’s market share however has fallen across Europe.